On Monday evening, people on the banks of River Jhelum in Srinagar were seen carrying bags full of fish. The fish en masse came ashore offering very little resistance while being caught. A video, which went viral, showed people in Nawakadal area of the old city stuffing their bags with fishes. Reacting to this unexpected development, the administration sent a team of officials, who collected samples from the spot for investigation. “Initial reports suggest that it is a case of dissolved oxygen depletion and high pH levels in the water that have caused the fish to come ashore,” Syed Abid Rashid, Deputy Commissioner of Srinagar, tells Down To Earth. “We have sent the samples for testing and are expecting a complete report soon,” he adds. However, the samples that were sent to the Sher e Kashmir University of Agricultural Science and Technology have not been scientifically procured. “The samples should have been taken around 5:30 pm on Sunday (October 22), when the event actually happened,” tells M H Balkhi, Dean, Faculty of Fisheries, Sher e Kashmir University of Agricultural Science and Technology. “I have received water in a bottle at around 1 am on Monday. To check the accurate oxygen level, we need to get samples the very moment the fish were in distress. The samples have to be procured scientifically for better results,” says Balkhi. “We can’t call it en masse mortality. But, the fish are definitely in distress,” he adds. Jhelum has been the focus of the government after the 2014 floods. The focus was mainly on dredging the river to create more space for the water to flow. The water level is at its lowest as of now. According to the Department of Irrigation and Flood Control, the gauge reading of Sangam point (a point of measuring water level in south Kashmir) today morning was 0.70 ft, as opposed to 5 ft, which is normal around this time of the year. Experts, however, believe that it is not due to low water levels that the fish are in distress and attribute this event to pollution. Biotoxins and agricultural waste are some of the reasons, according to Balkhi. Amid confusion over the reason for fish coming offshore, people in the valley, especially in the Srinagar, are apprehensive about consuming fish. The fish species, which was caught in distress, is Schizothorax. It is locally known as Kasher Gaad. The government has issued an advisory to abstain from consumption of fish till complete reports are out. Scientists have advised that the collected samples be tested for metal and pesticides which could be fatal if consumed. All the other fish species found in other streams have been declared safe for consumption by the experts. State authorities like LAWDA (Lakes and Water Development Authorities) and pollution control board have often come under criticism for not taking scientists on board while drafting developmental policies. “It is only when something like this happens that they are reminded of the scientists. If they expect us to provide a scientific answer we need to be roped in from the start,” argues Balkhi. Terming the tests as a knee-jerk reaction, the dean of fisheries department said that the university does not have a toxicology lab that is needed to carry out these tests in a scientific manner. “For now we will do what we can, but I wish people change their attitude towards the river and authorities wake up too,” he adds. Experts have now and then called for coordination between the development departments, policymakers and scientists while chalking out developmental plans, which is seen as the main reason for degradation of the ecosystem in the valley. 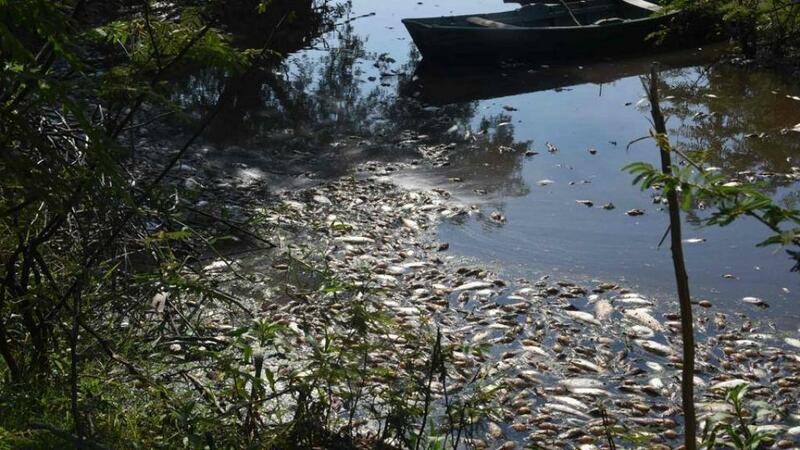 In 2012, en masse mortality was witnessed in Nigeen Lake, for which low levels of oxygen was cited as the main reason. Is environment finding a voice in conflict-ridden Kashmir?